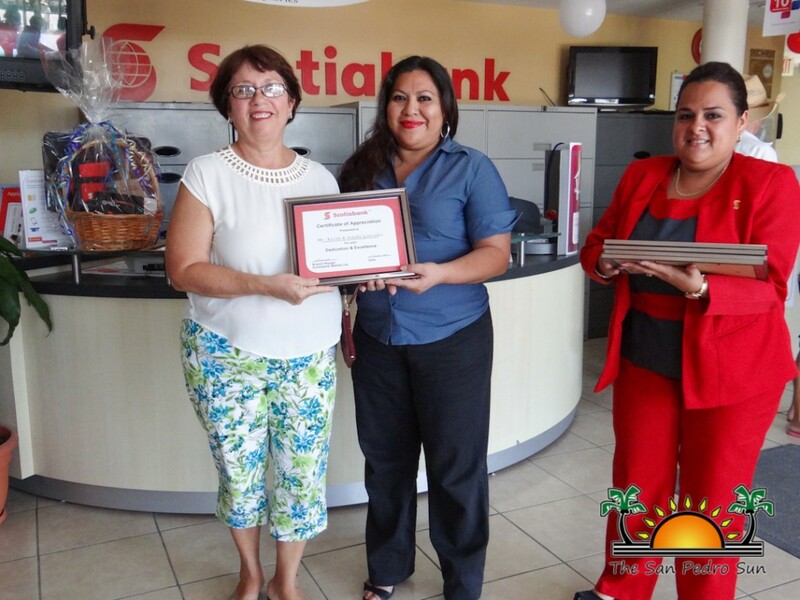 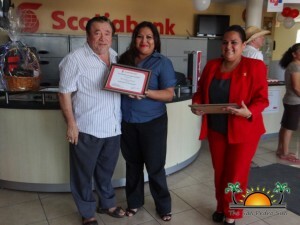 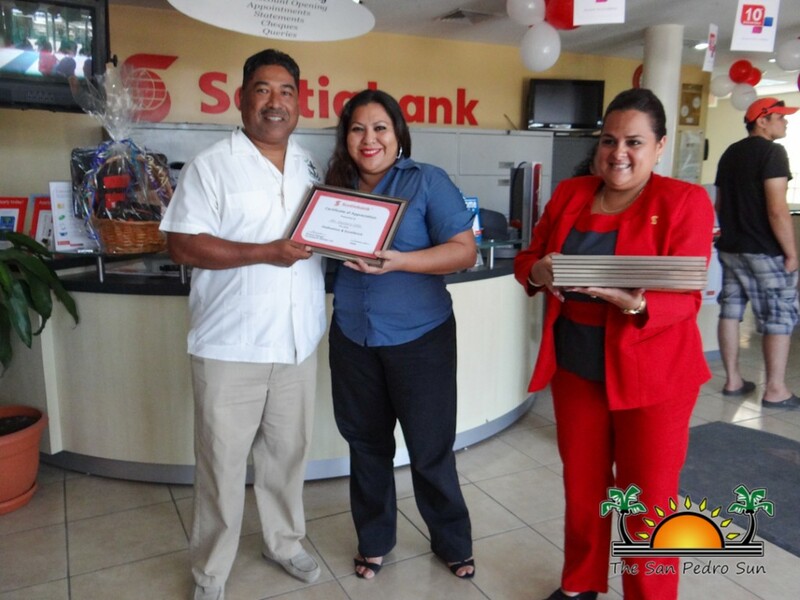 On Wednesday, March 11th, Scotiabank San Pedro Branch celebrated 10 years of service on La Isla Bonita. To commemorate the milestone, the bank held a customer appreciation event, honoring long time customers. The short ceremony kicked off at 2PM at the Scotiabank office on Coconut Drive, where invited guests along with staff members enjoyed lots to eat and drink while reminiscing on the humble beginnings of the bank. 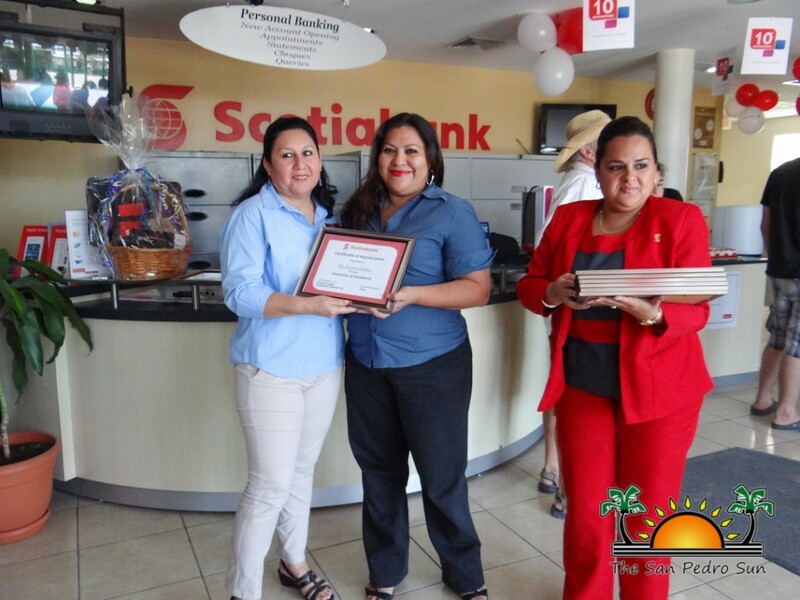 According to Branch Manager Roannie Badillo, the San Pedro community has helped significantly in the growth of the bank. “It is very exciting for Scotiabank. 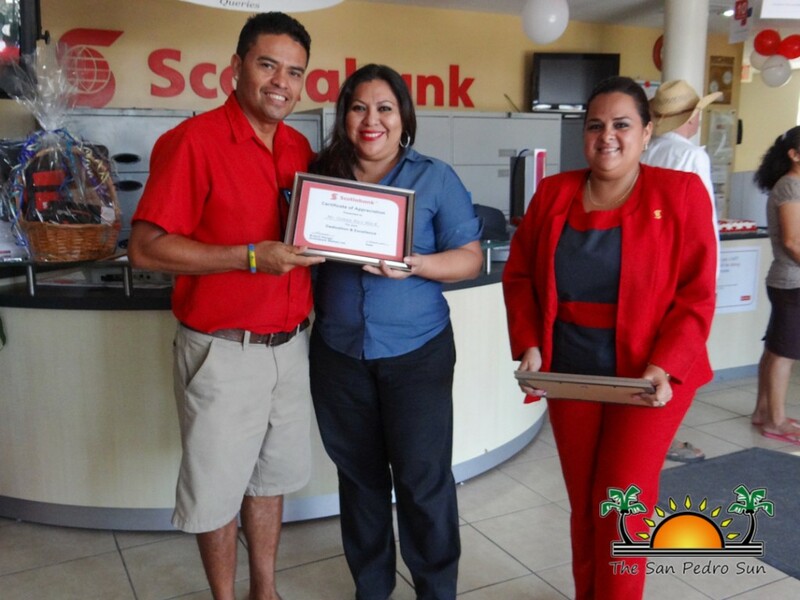 When we first launched the branch here in San Pedro we didn’t know what to expect. Thankfully over the years, we have gained many customers and have been able to provide our service and product to the community. 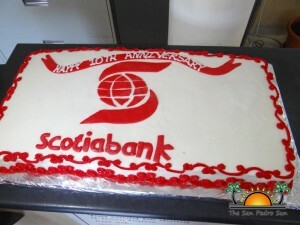 We want our customers to know that we really appreciate them and their business. 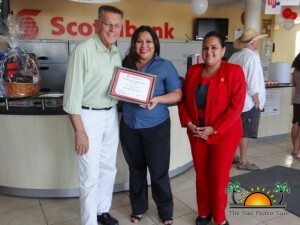 We are here and ready to serve you,” said Badillo. 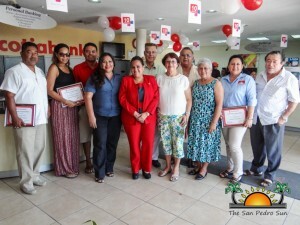 Those honored at the anniversary event included Pedro Salazar, Seven Schulk, Manuel Ancona, Osman Rico Black, Gustavo Ellis, Elvia Staine, Kevin Gonzalez, Iraida Gonzalez, Ernesto Gomez, Guillermo Rodriguez, John Grief III, and Narciso Rodriguez. 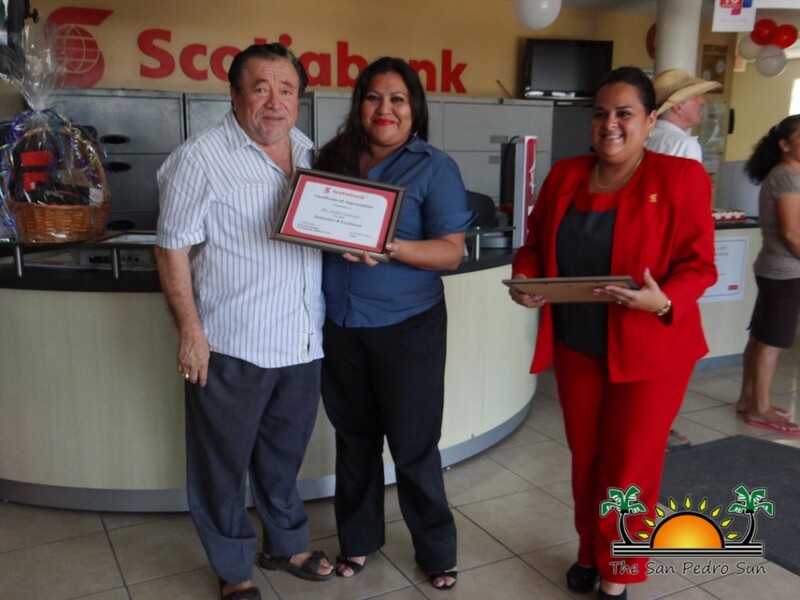 “Come to Scotiabank and let us help you with all your financial needs. There are a lot of opportunities for the people of San Pedro,” added Badillo. 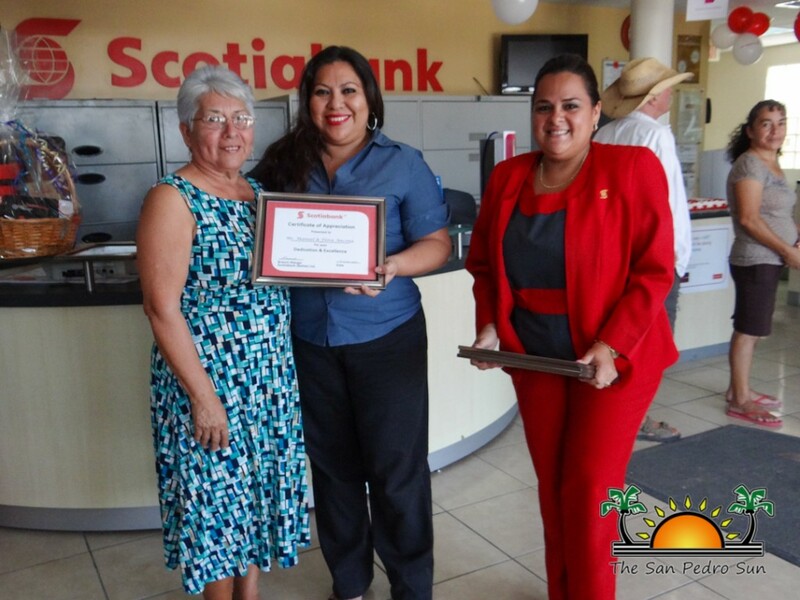 The San Pedro Sun congratulates Scotiabank San Pedro Branch on their 10th anniversary and wishes them many more years of service.